Now that Barry knows who Zoom is and he can start to take revenge against his former “friend,” The Flash will likely get very intense over the next batch of episodes guiding us to the finale. 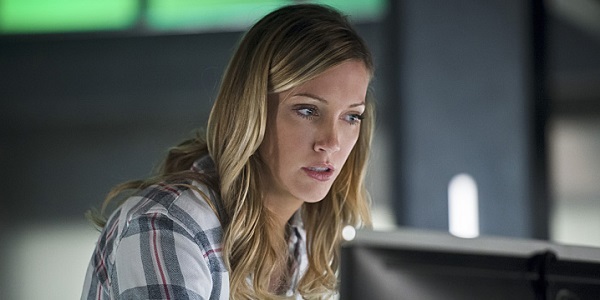 But before that resolution, the superhero drama will use Earth-2 to put forth a fairly complicated crossover by welcoming Arrow actress Katie Cassidy to play Laurel Lance, but not the one we’re used to seeing in Star City. On The Flash, Cassidy will instead take on the Earth-2 version of Laurel, who isn’t known as Black Canary, but rather Black Siren. Has all the debris from the confusion-filled nerd-splosion been cleaned up so that we can move on? Good. Cassidy will don her next (presumed) superheroine duds for the second-to-last Season 2 episode of The Flash, set to air next month. This makes the first time that a major Arrow character will get a parallel dimension identity, and depending on whether or not Earth-2 remains a central part of The Flash’s storytelling in future seasons, it might not be the last time. But depending on how things pan out over on Arrow for the rest of Season 4, The Flash may be the only place we’ll get to see any version of Laurel Lance in the future. All that ”who’s in the grave?” business will soon be coming to a head, and she’s a definite candidate. But if it isn’t Laurel who bites the dust, maybe she could head to Central City for that Flash episode so that both versions could meet and hang out. Can TV audiences handle two Laurels? This exciting tidbit was revealed at a press screening by executive producer Marc Guggenheim, according to TVLine. He apparently didn’t go into any further detail about what we can all expect from the appearance, but we pretty much expect oodles of insane moments every time The Flash heads to Earth-2. Can’t imagine this time will be any different. 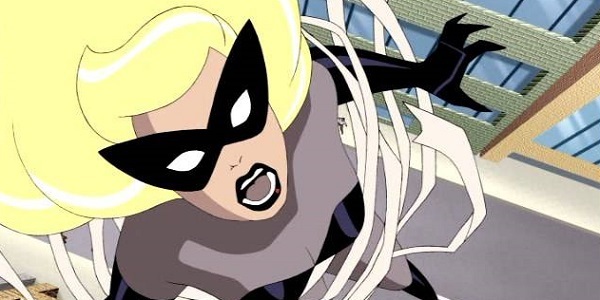 One of the few superpowered characters in this universe that didn’t debut in the pages of a comic book, Black Siren first arrived on the Justice League animated series along with other members of a made-up 1950s supersquad called the Justice Guild of America. The team was an homage to the Justice Society, with Black Siren serving as the lone female member who deals with a number of stereotype issues, partially aping the Golden Age version of Black Canary. Though we don’t know an episode title just yet, viewers can find Katie Cassidy joining the Flash squad in some capacity on Tuesday, May 17. In the meantime, you can catch the Scarlet Speedster making the transdimensional rounds every Tuesday night on The CW.